From our reviews, this is the ultimate list of the BEST Surface Pro 4 bags you can buy in 2016 to protect your Surface Pro 4 for long lasting use. The latest Surface Pro 4 from Microsoft has a great design material and beautiful display. 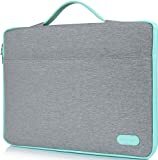 To keep your Surface Pro 4 last for long use and can protect from serious drops, scratches, and any damages, you will definitely need protection from a bag. Stylish and lightweight with full protection messenger bag. Stay protected with separate padded laptop compartment and a padded tablet slot. Multiple large and small pockets. Available in either horizontal or vertical version. Available in purple, black, black stealth, gray and green. First of the list is the messenger bag from CaseCrown that fit really well with your Surface Pro 4 or its predecessors. It can keep your Surface Pro 4 and your tablet secured with its padded room with the elastic band and velcro closure. Moreover, it also has multiple large and small pockets for storing your documents, phones, pens, chargers and all your necessary stuff. It has a detachable and adjustable shoulder strap with padding easy to carry through your day. With its secure velcro closure make sure your devices never lost its protection in an accident. This messenger bag available in two orientable horizontal and vertical with a variety of color options. 3 in 1 – handbag, shoulder bag, or backpack. Adjustable should strap, hidden detachable backpack strap. Has plenty of space to store your power adapters, mouse, documents other accessories. Available in aqua, black, orange, pink, and purple. Next one is the Vangoddy bag that features a convertible option that can be converted into a backpack, crossbody bag messenger bag or a carrying bag. It made of a high-quality water-resistant nylon construction and a durable matte silver hardware. 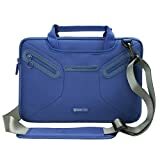 Multifunctional Surface Pro 4 shoulder bag. Has a padded handle strap easy for carrying. Has a detachable shoulder strap. Has 2 x large pocket, 2 x small zipper pockets, and an ID card pocket. Only available in black color. This is another bag from Evecase that features eight extra pockets for storing your devices and accessories. The main compartment has enough room for keeping your Surface Pro 4 with Surface Type Cover securely. The interior lining made of a soft, scratch-free, fuzzy and microfiber material and exterior material made of extra-padded neoprene. 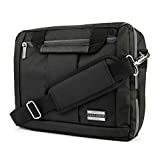 This bag’s shoulder strap can be removed and the handle can also be folded away in the pocket easy to fitting in another backpack when needed. Has a hand strap easy for carrying around. A large front pocket for keeping all your laptop accessories. Available in black, dark gray, light gray, and teal. This ProCase protective bag for Surface Pro 4 is looking great for business, school, and travel. This bag is slim, portable and lightweight and easy to take alone or put it in other briefcase or bag. It made of a soft and microfiber material that will protect your device from dust, dirt, scratches, bump, and shock. 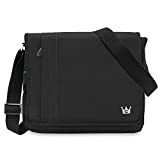 This sleeve bag can be opened at a free angle and has enough room for putting your Surface Pro 4 and its predecessors, and even Apple iPad Pro, the New MacBook, 11″ MacBook Air, and Chromebook Pixel too. Made of 5 layers of eco-friendly materials. Providing 360º with shock-proof protection and spill resistant. Has elastic PU handle strap. 1 x big pocket for keeping books, power adapters, phones, or tablets. Available in black and dark gray. This Inateck carrying bag can protect your Surface Pro in many ways with its strong and wearable cloth outer lining. It can provide all-around protection, including protection from shocking, scratching, and unexpected dropping. It also has another compartment for putting your power adapter, pen, books, and other small devices. This sleeve bag also features a customized elastic handle strap that makes it easy to take along with. Those are the best bags that can provide the best protection with a stylish design for your Pro 4. If you want a light-weight and a stylish design, you would probably choose a case from MoKo, ProCase, and Inateck. To whom that likely to keep all important accessories along with you everywhere, you should consider the bags as it has more room for storing them. 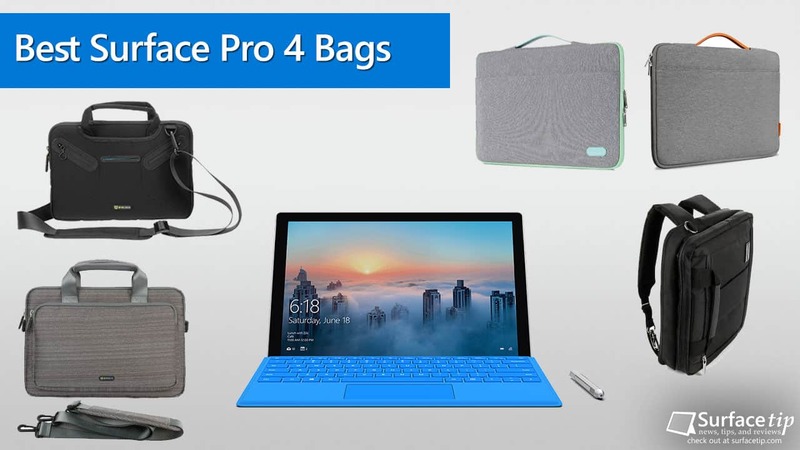 We appreciate hearing your thoughts, questions, and ideas about “The Best Bags for Microsoft Surface Pro 4 for 2019”. Please post respectful comments and on topic. We will be replying back to you as soon as possible. 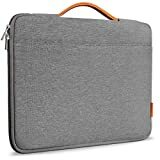 Share your idea about "The Best Bags for Microsoft Surface Pro 4 for 2019".